Last year’s finalists and the foxiest chick in snooker looking on. Monday sees the start of the Shanghai Masters which is the tournament that a lot of observers still see as the beginning of the proper season and it’s also by all accounts something of a favourite Chinese event amongst the players, some of whom aren’t usually predisposed to saying anything nice about overseas travel. It is covered extensively on Eurosport whose schedule can be viewed here. Famously last year after a week of excellent coverage they didn’t cover the final session of the final, a final which saw John Higgins come back from a huge deficit, with a 147 to boot, to beat Judd Trump in a decider, so not that exciting then. It seems that once again they have decided to do the same and we’ll be left to watch it online rather than on TV. Disappointing. Another disappointment for me is the continued existence of the wildcard round. This is the event which decided it was bigger than the current moves in the sport and stuck two fingers up to the governing body by not adopting the flat structure draw, instead sticking with the old formula of making players work to get here only to face a usually very dangerous local. As well as this they have also included 8 wildcards, some of whom will no doubt go and win, rather than the 4 they originally said they would. It’s a shame that World Snooker can’t stand up to those who made this decision (apparently the Chinese Snooker Association) and insist that it’s their call. With the interest in snooker in China we are always told about surely a sponsor that is prepared to accept the way the sport is heading could be found? Anyway, with those two personal gripes out of the way it’s time to turn our attention to the snooker and hopefully what will be a great week over there. Below I have included the wildcard round with a bit of form about each of the virtual unknowns and all first round matches seperated into quarters, I’ll be recommending bets in the outright market and a few others. You can check out the schedule of play at Snooker Island here. Check out Apollobet’s prices on the outrights by clicking here, on the quarter betting by clicking here and the matches by clicking here. Form of wildcards: Yuan Siyun – none to speak of, the weakest of the eight on paper. Zhou Yuelong – promising player who has held his own in wildcard matches before, beat Michael White in a decider in 2012. Zhao Xintong – has beaten Andrew Higginson and Jamie Cope in the past, lost 5-4 to Vinnie Calabrese in his most recent wildcard match. Lin Shuai – ran Alan McManus close last season and has beaten Jimmy White in an Asian PTC. Lu Ning – has claimed a number of scalps, most notably Shaun Murphy last season, also took 3 frames off Mark Selby so no pushover. Fang Xiong Man – took 2 frames off Jack Lisowski in a PTC, not much else to speak of. Zhu Yinghui – beat Reanne Evans in Wuxi last season before losing 5-2 to Robbo, his opponent here Mark King beat him 5-3 in 2012 but he has beaten Holt, Dale and Wells since then so is obviously improving. Wang Yuchen – has not beaten a professional but has gone to deciders against Jamie Cope and Cao Yupeng. Summary: Most in danger in this round I would say would be Cao Yupeng, Ryan Day and Mark King. If I had to plump for one that might get beat I’d probably go for Cao, but I will kick off with an acca on the main tour players here. Recommended Bet: 2 point acca pays best priced over 7/2 at Apollobet on Guodong, Gould, Higginson, Day, Gilbert, King and Perry. 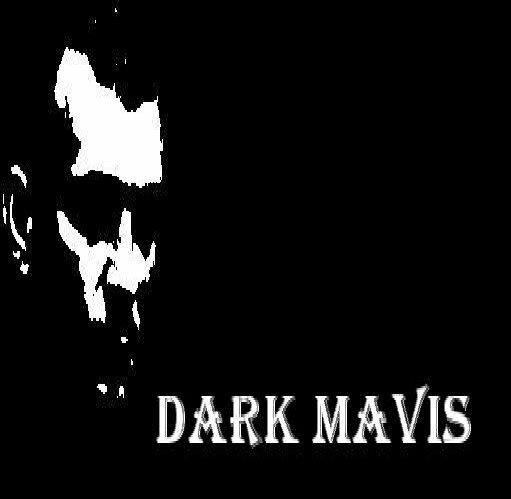 The man of the moment at the time of writing is none other than Dark Mavis, who comes here with two wins under his belt. 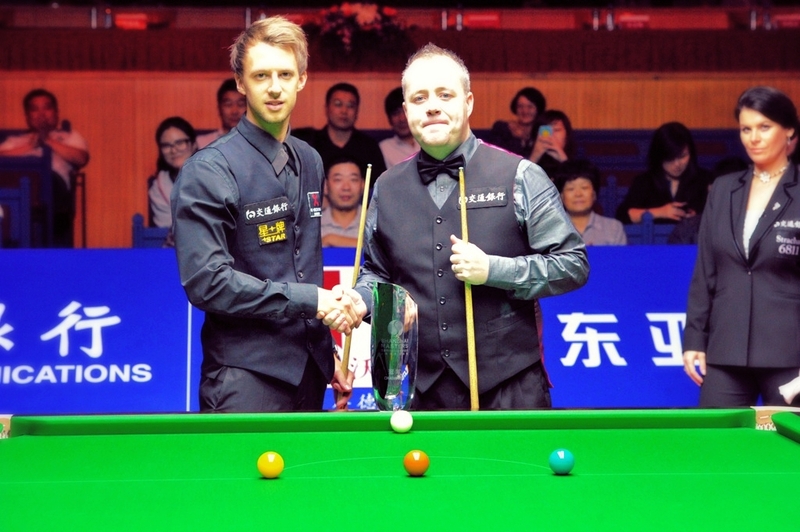 He beat Neil Robertson to win the 6-Reds World Championship and then did the same again in the General Cup in Hong Kong last week. While our Mave has improved in leaps and bounds this past couple of seasons and is no longer the rabbit in the headlights when the TV cameras are on him, he’s still finding that elusive ranking event win, well, elusive. He has a tough opener against Ali and may even fall at the first hurdle, if he doesn’t then John Higgins may be waiting and for me it’s horses for courses and I’m going to back Higgins to emerge from this foursome and kick on from there. It’s a very strong quarter this and Matthew Stevens and Stephen Maguire could end up meeting lower down, Maguire has been fairly quiet so far this season but I have a feeling he’ll be fresh and up for this, so in terms of the outright market I think this section will have something of a tartan feel, I’d say Higgins or Maguire will be in the final. Recommended Bets: 3 points on John Higgins to win the Shanghai Masters at 7/1 with Apollobet. 2 points on Stephen Maguire to win the Shanghai Masters at 18/1 with Hills. 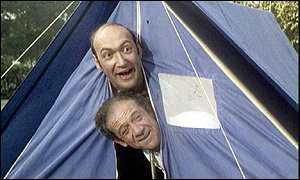 2 points on Mavis to beat Carter at 11/8 with Paddy Power. It’s great to see last year’s Snookerbacker Classic runner up Kyren Wilson making this venue, having won 4 matches to get here and been highly impressive on his return to the professional ranks, I wouldn’t rule out him causing a shock against Ballrun Bingham, who has been on holiday for the past couple of weeks (I won’t mention that tweet, but let’s just say that his mind may have been elsewhere) so I assume he might be a little rusty, on the baize I mean not ermm, oh never mind….let’s move on…. Marco Fu is bang in form and of course captured the Aussie Open earlier in the season and reached the final of the PTC won by Ricky Walden, if his run of form continues he could go close in this and for me has a fairly decent draw. Another early season winner is the boy Walden, he could well emerge from the lower section and is a proven winner in China but for me is not as consistent as Marco and this is sometimes his downfall. Judd Trump is over there promoting Ferrari’s at the moment it seems, not really sure why, he faces Michael Holt who again I think might fancy his chances of causing an upset, could be worth a quid or two at the 7/2 on offer. Recommended Bets: 1 point on Marco Fu to win Shanghai Masters at 33/1 with Apollobet. 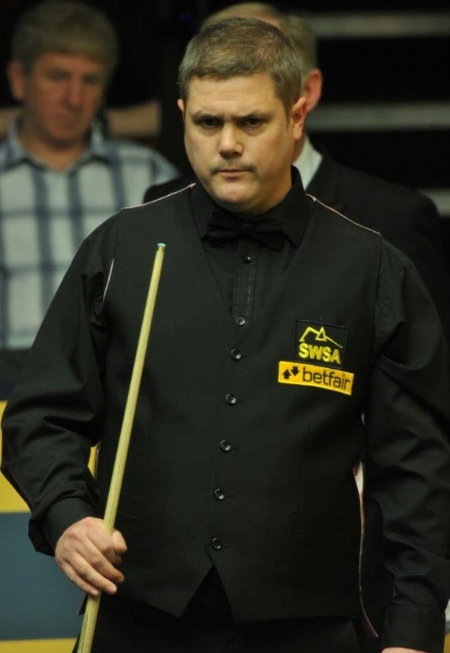 2 points on Wilson to beat Bingham at 12/5 with Bet 365. 2 points on Fu to win Quarter 2 at 6/1 with Paddy Power. Mill Hopkins: Knocking on the door. Mark Selby has started the season in consistent style and a look at his results does hammer home what an amazing win ratio he has, he has played 27 games already this season and has lost only 6 of them, the slender one really is ultra-consistent. I’m sure he’ll be bang up for this as he’s usually wide awake until around March and he is obviously a big contender. But there are plenty of potential banana skins in this section, Rob Milkins has been getting closer and closer to winning a ranker and his quote of 66/1 at Skybet has to be taken ‘just in case’ this is his week, he’s another that is now winning a lot more than he is losing. Mark Allen has been fairly invisible so far this season and for me he is best watched until he starts showing some type of form, at which point he will probably win something and World Championship runner-up Barry Hawkins doesn’t tend to play his best in China so for me from this section it’s either Selby or Milkins who will emerge as a semi-finalist. Recommended Bet: 1 point each way on Robert Milkins to win Shanghai Masters at 66/1 with Skybet. 1 point on Milkins to win Quarter 3 at 9/1 with Skybet. The bottom section is again crammed with familiar names, Neil Robertson’s consistent start to the season has already seen him capture the Wuxi Classic and reach the final in Australia, he is a worthy world number one without a doubt. He’ll have a tough opener against practice partner and mate Joe Perry though (assuming he beats the wildcard) and with names like Shaun Murphy and Ding Junhui in his section I’m not sure the 6/1 about him represents any value at all really in an event which, Ronnie excluded, is full of the big names. Ding will surely start performing again in Chinese events soon and his frankly awful recent record over there has now seen him pushed out to what represents attractive betting odds. He may completely flunk again of course and a first round meeting with Dave Gilbert will test him but the price for me is too attractive to turn down and I think if he beats Gilbert he will also beat Shaun Murphy so he’s the pick in this one, could end up being the price of the season or the daftest bet of the season, who knows? Recommended Bet: 1 point each way on Ding Junhui to win the Shanghai Masters at 14/1 with Bet Victor. Snookerbacker Classic 2014: Gloucester Draws LIVE! We have just completed the draws for the opening two qualifying events of this season’s Snookerbacker Classic and you can see who plays who by playing the two videos below. The first video is for Saturday 28th September and the second one is for Sunday 29th September, both take place at the South West Snooker Academy in Gloucester. If you would rather not sit through these two pieces of lunacy you can click here to view the draws and the match start times. WARNING: BOTH VIDEOS CONTAIN HENS, IMPRESSIONS OF HENS AND THE BOTTOM ONE ALSO INCLUDES A DUCK.